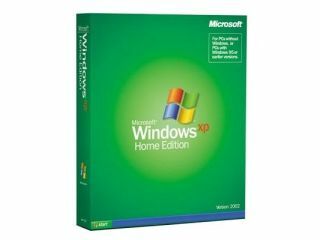 Microsoft’s Steve Ballmer has dropped the broadest hint yet that the company may do a U-turn on its plans to scrap Windows XP this summer, admitting that Windows Vista is a ‘work in progress’. With well publicised campaigns calling for Microsoft to extend the ‘death’ date of 30 June, the Redmond company has already confirmed that XP will remain available for the burgeoning sub-notebook category which needs a less CPU intensive OS. However, the summer date has remained for desktops, despite the widespread apathy towards XP’s replacement, Windows Vista. Ballmer – talking to the Most Valuable Professionals (MVP) conference in Seattle – opened by labelling Vista a work in progress. He then professed that Microsoft was still open to feedback on how long XP would be available. "Windows Vista; a work in progress. A very important piece of work, and I think we did a lot of things right, and I think we have a lot of things we need to learn from," said Ballmer. He went on to say: "...we have some customers - a lot of customers - using Vista. A lot of customers. And we have a lot of customers that are choosing to stay with Windows XP. "And as long as those are both important options, we will be sensitive and we will listen and we will hear that. I got a piece of mail from a customer the other day that talked about not being able to get XP anymore. We responded, XP is still available. "And I know we're going to continue to get feedback from people on how long XP should be available. We've got some opinions on that, we've expressed our views... I'm always interested in hearing from you on these and other issues. So the desktop business, it's our heart, it's our soul, we continue to drive forward from this foundation." So has the popular XP won a stay of execution? Watch this space.